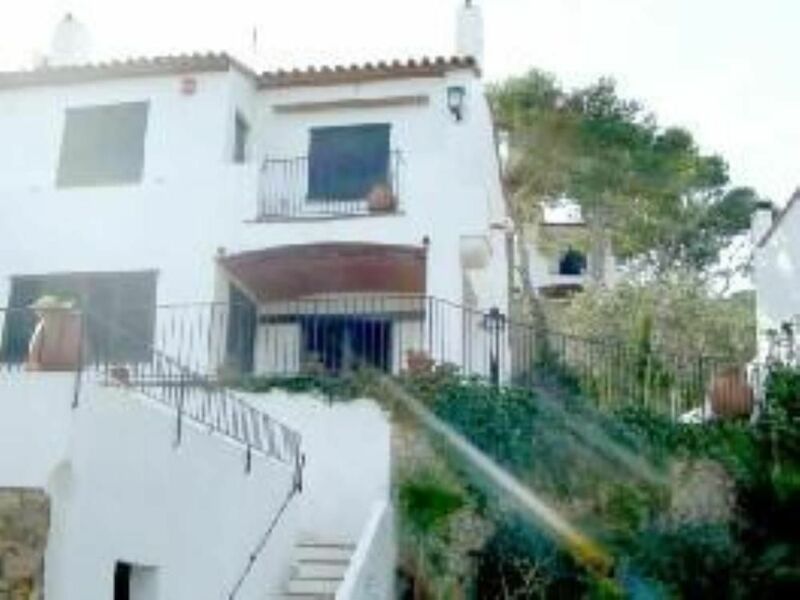 Semi-detached house with sea views in private luxury and guarded urbanization. It has 2 floors / 1st floor: 4 bedrooms + 2 full bathrooms / ground floor- large living room; 1 TV area and fireplace, 1 dining area, and 1 large 2 sofa beds. Large kitchen equipped with everything and exit to large outside terrace with lower terrace. At 500 meters 3 pools exclusive community use (1 separate Olympic pool 1 large children pool and 1 small baby pool. Children's area with swings exclusive community. Quiet area facing the sea but close to the community areas. Stunning views of the sunrise. House for summer and winter. Heating in all rooms. Unnecessary air conditioning, very cool house. Possibility of changing the day of entry and minimum stay. It can be accessed by Tamariu, Old Carrretera de Begur or Aiguablava. OPTION EXCHANGE of houses Semama Santa, Christmas (we accept non simultaneous exchange). Interested in Venice, Sardinia, Tuscany, London, Greek islands, European capitals.